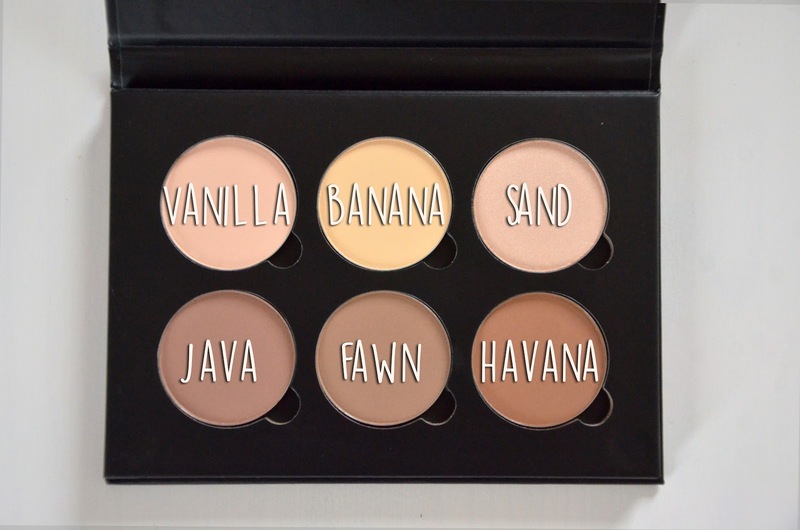 I finally decided to get myself an Anastasia Contour Kit! I know, I know, I should have done that a loooong time ago, but better late then never 🙂 I thought I’ll get myself the basic contour kit in light/medium first, before purchasing the cream contour kit – you know, to see how it goes and whether I’m satisfied or not. Vanilla – Great for setting the highlight on forehead and nose, as well as under the cheekbones. Banana – Oh my, so amazing! Put it under the eye concealing area for the glam Kardashian look. Sand – Highlighter with a little bit of shimmer. Gorgeous glow! Java – Contouring shade with a cooler undertone, quite pigmented. Fawn – Brightest of the contouring shades, great for building up the contour. Havana – Warmest of the contouring shades, great for the deepest spots.